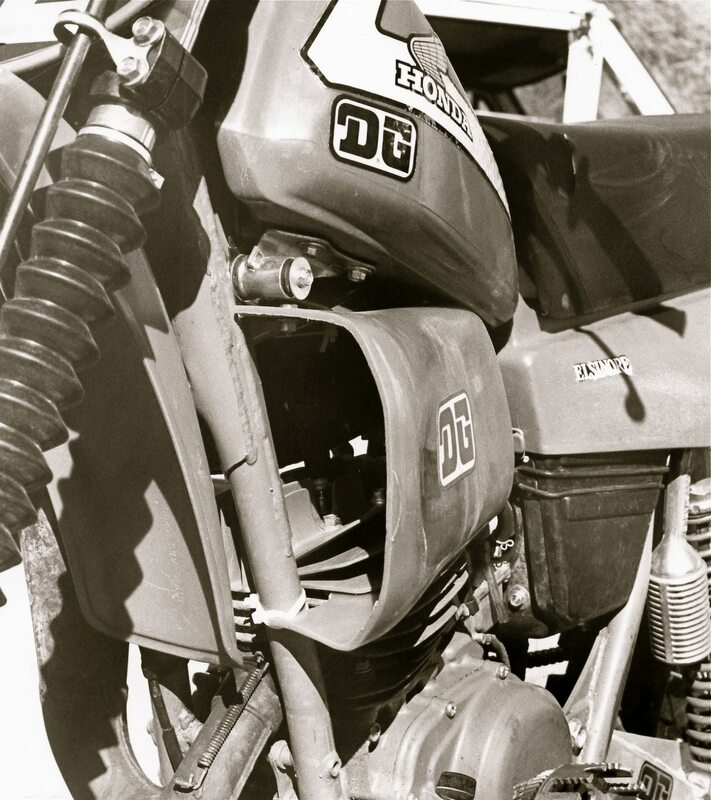 Motocross history is filled with examples of creative ideas that were heralded as ground-breaking, but, because of the rapid rate of change in development, sank into the swamp of forgotten technology. Although some are best left abandoned to the ash heap of history, others were truly innovative (if not successful). MXA reveals motocross’ tech trivia. Do you remember this idea? The DG Pro-Flow air scoops for air-cooled engines. Just before the dawn of the water-cooled era, riders wanted to get more air into the cylinder finning of their air-cooled bike. 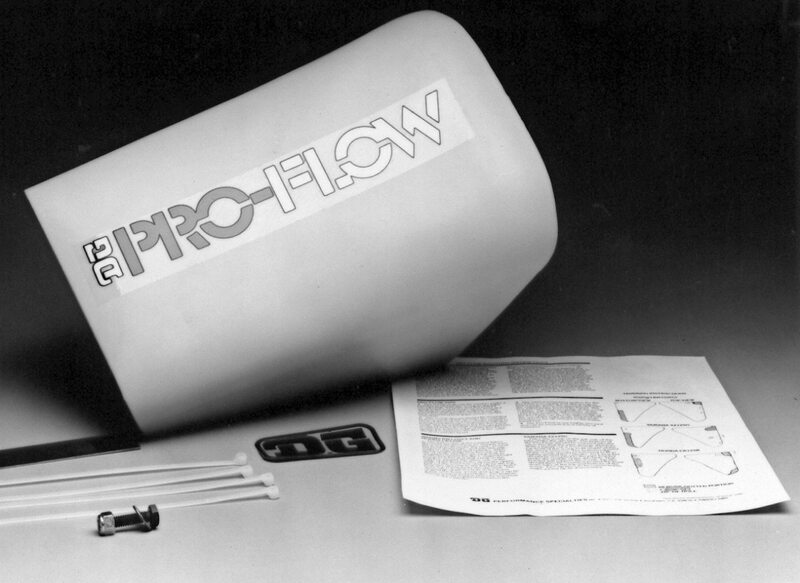 The DG Pro-Flow scoop was the first aftermarket air scoop for sale. 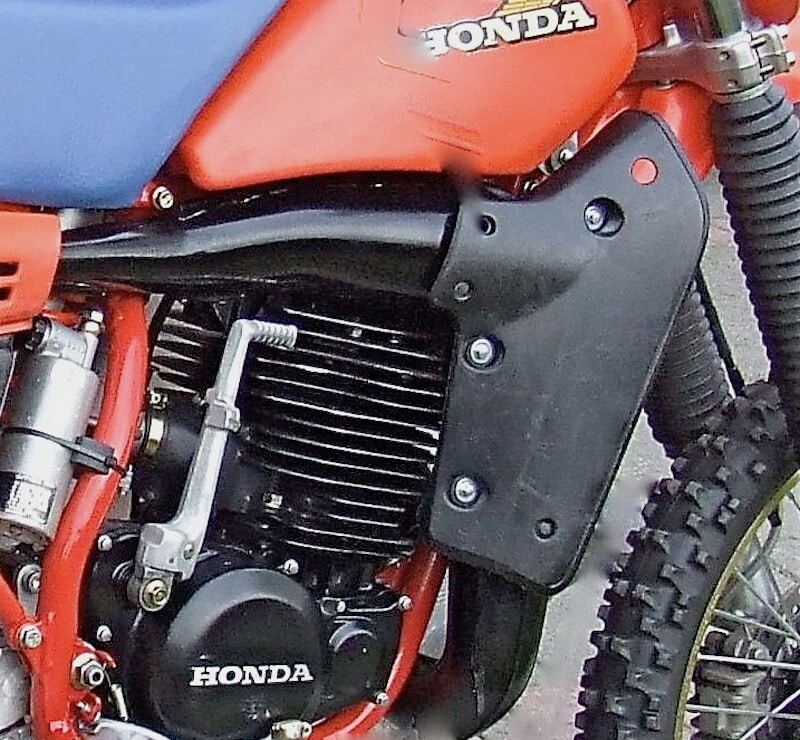 The DG Pro-Flow scoop on a Honda CR125. The scoop used Bernoulli’s Effect to increase air flow. It may be hard to imagine, but 35 years ago there were no water-cooled bikes, and riders were looking for ways to control cylinder heat. The most successful idea was the DG Pro-Flow air scoop. It was an aftermarket plastic air scoop that attached under the gas tank and down over the fins of an air-cooled cylinder. Yamaha’s homage to the Pro-Flow scoop on the 1987 YZ490. At speed, it increased air velocity through the fins by virtue of the Bernoulli effect. 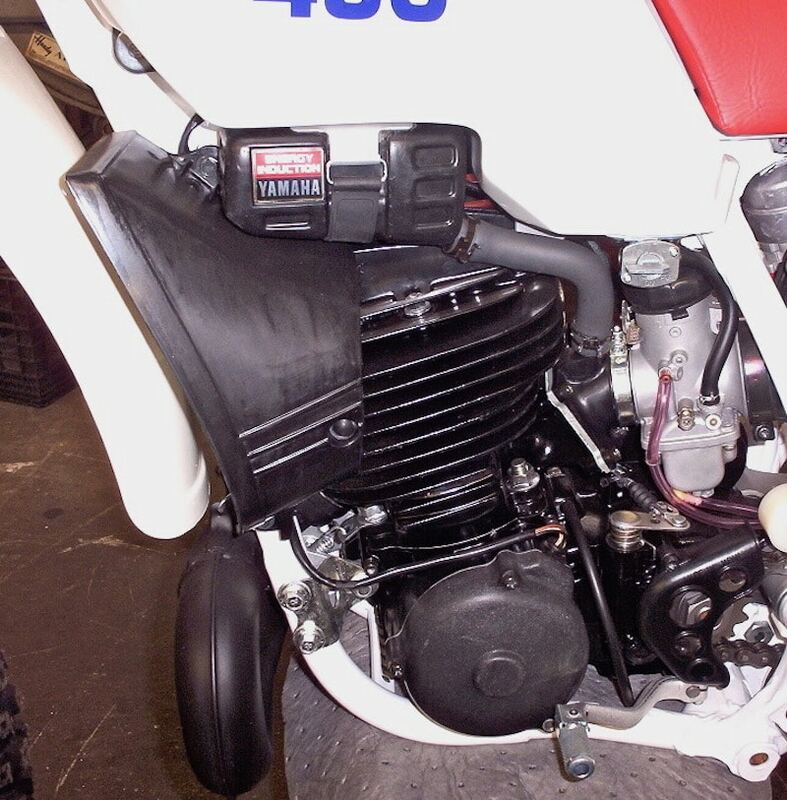 It may seem like a crackpot idea, but the 1984 Honda CR500 and 1987 Yamaha YZ490 copied the idea. The inventor was MXA’s Jody Weisel, but water-cooled bikes wiped out his scoop empire.